Pregnancy is a very important time in your life when it’s essential to feel comfy and cozy still looking beautiful. 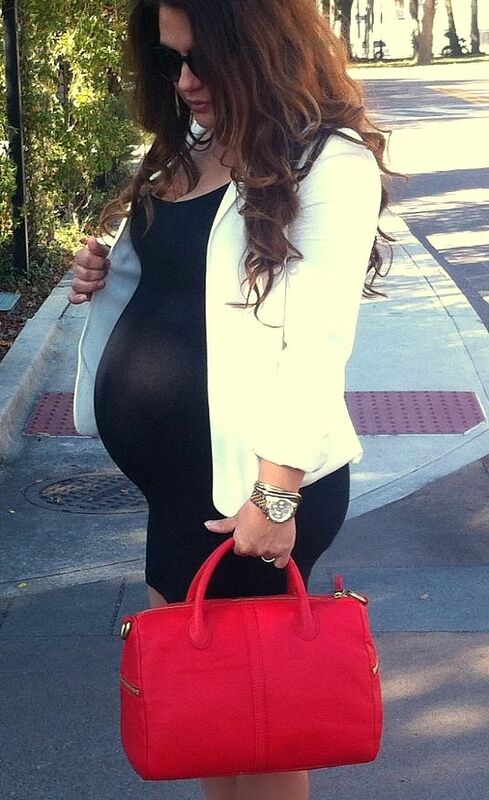 If you a working lady and you need to dress up the belly, this roundup is right what you need! I’ve prepared a bucnh of ideas from real stylish mamas to get you inspired. Put on a comfy dress that isn’t too tight, add a jacket and shoes without high heels. Leggings with a bouffant shirt will be a nice idea in case your dress code allows that. Don’t choose tight and uncomfy clothes or high heels because they are bad for your belly, and you will get tired on high heels in two minutes. Get inspired by the ideas below!